Cakes are known staples whenever there’s a celebration, may it be as grand as your son’s 7th birthday or as simple as your daughter’s achievement in class. Coupling the cake with a dedication as sweet as its taste is what makes the occasion more memorable. 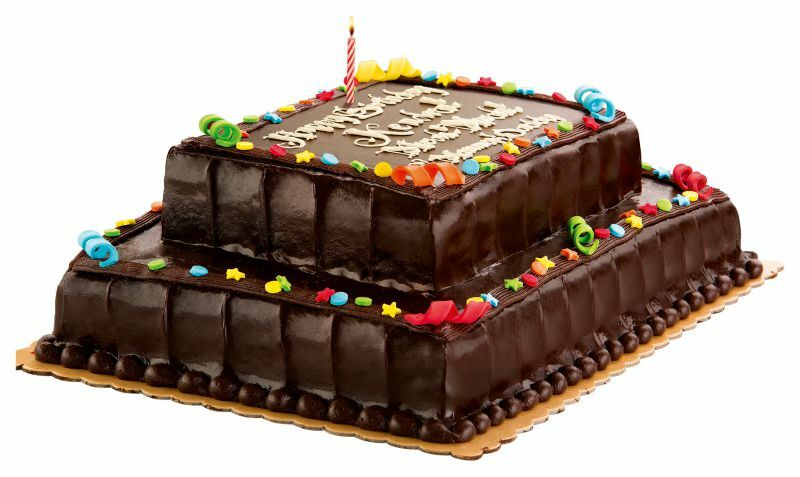 Before, special two-layer cakes are only present during birthdays, debuts, weddings and graduation. 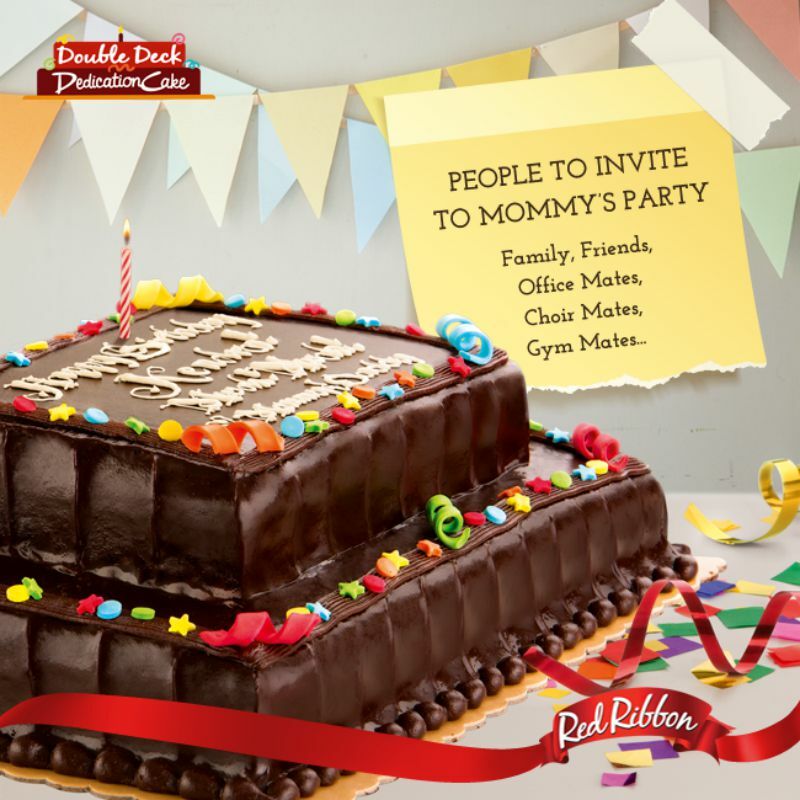 Now, Red Ribbon makes it possible for families to make any day a bigger celebration while allowing more budget for other expenditures with its new Double Deck Dedication Cake. The new Double Deck Dedication Cake is a rich chocolate cake with fudgy chocolate icing topped with colorful sugar confetti, dots & stars. This can be personalized with one’s special message. Mothers always want the best for their children. They are constantly finding new ways to recreate how their child will cherish their special day. With the new two-layer Dedication Cake, mothers can now make their children's party two times grander without going beyond their budget. There's a bigger cake with a taste of premium for all guests. Truly, Red Ribbon complements every Filipino table with its delightful treats, making ever moment more worth-remembering. For only P790, you can share the slices of the cake for 26 people because it has a base layer of 8x12 inches and a top layer of 6x8 inches. *Please take note that prices are subject to change without prior notice. Double Deck Dedication Cake is now available in all Red Ribbon stores nationwide. Just wanna ask how much would it be? The double deck chocolate. Thank you. Nagpepersonalized dn po ba ang red ribbon picture sa mismong cake ?